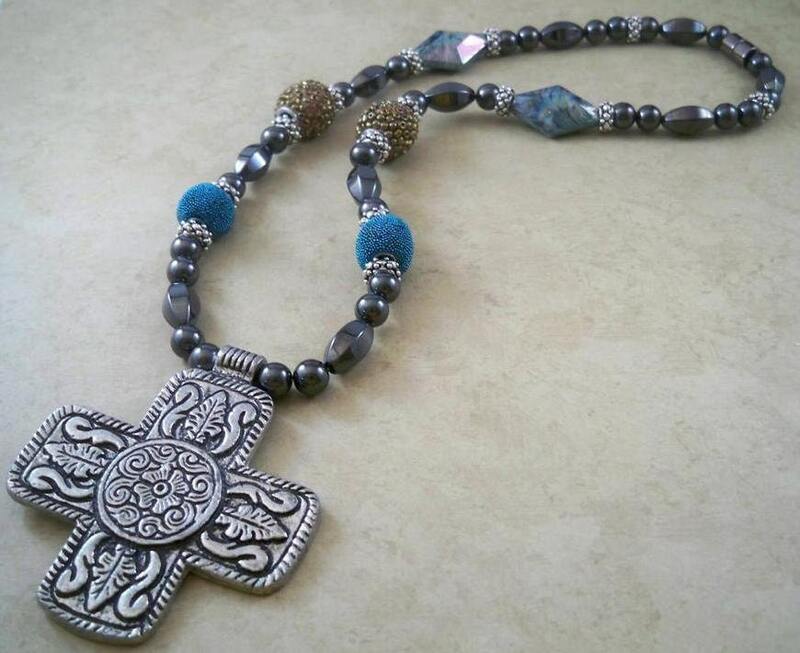 This necklace is designed with a large cross pendant strung on black high power magnetic hematite beads; accented with beads in turquoise and gold with silver metal spacer beads. The clasp is a sturdy, easy-to-use magnetic clasp. The necklace is approximately 20" in length. The black magnetic hematite beads in sizes of 8mm and 8x16mm. The pendant is 65x63mm.